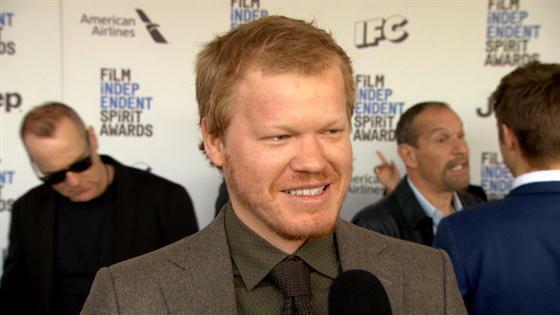 Kirsten Dunst and Jesse Plemons are quickly approaching the next chapter of their happily ever after. As the engaged lovebirds patiently await the arrival of their first child together, it's becoming more and more evident that the Fargo co-stars' remarkably under-the-radar romance is the real deal. And despite the Bring It On alum's storied (and very public) dating history, there's no doubt Kirsten has learned a thing or two from doing things a bit differently with Jesse. Kirsten and Jesse began filming the FX drama series three years ago in Alberta, Canada. Even from the get-go, the Friday Night Lights actor was smitten with his co-star. "It was a gift," Jesse explained at PaleyFest in 2015 when asked to describe working with Dunst. "I loved Kirsten's work for a long time, and I was really excited once I'd met her, and she's a great person, and we're both actors that just… have fun with the material." A month after Kirsten and Garret Hedlund ended their 4-year relationship, photos of the actress and Plemons kissing were published in May 2016. Their summer fling turned into a full-fledged relationship by September, with an eyewitness recalling their PDA during an Emmys after-party. Kirsten "leaned into Jesse and very passionately kissed him on the lips after she caressed his cheek very affectionately," the source told E! News. They appeared "to be very much a couple." Fans would have to wait until after Kirsten and Jesse confirmed their engagement for the Golden Globe nominee to disclose any details. She admitted during an appearance on The Tonight Show Starring Jimmy Fallon, "I've got to keep things private a little bit. We got together a year after [meeting.] We became really good friends first." Kirsten recalled thinking, "You're like, ‘Oh, I really love this person. I love hanging out with him.'" The Hidden Figures star confirmed her engagement while flashing a diamond ring at the Palm Springs Film Festival in early 2018. As she explained to Jimmy Fallon, "I was a little sick, when he did it which was funny. But that's good, in sickness and in health so that works. I was in sweats!" Kirsten said she knew a proposal was coming, teasing, "I could tell on my dad's face at Christmas. He's a bad liar." It's safe to say Kirsten and Jesse's bundle of joy will have arrived by the time they tie the knot, but that doesn't mean wedding planning isn't already underway. Plemons told E! News last February that they're taking it "somewhat slow," with his leading lady adding, "We're pretty chill. Maybe next spring." Little did they know, but Kirsten would be pregnant by then! In a 2017 interview with Marie Claire U.K., Kirsten, 35, shared her baby aspirations. "I'm at a stage in my life where I'm like, I've been working since I was 3. It's time to have babies and chill," Dunst said. "You know what I mean?" She continued, "I wasn't one of those 'I need a baby!' people until my goddaughter was born. I love her so much. That love is just like... you can't experience that unless you have a kid. I put her to bed last night and she woke up this morning and said to her mom, 'Where's Kiki?' I just love that love. That's what I want." Did Kirsten speak her baby into existence? Perhaps! Eights months later, Kirsten put months of pregnancy rumors to rest by debuting her baby bump in a stunning Rodarte campaign. Dunst has yet to discuss her pregnancy publicly, but we can only imagine how excited she and Plemons are to embark on their next adventure together.